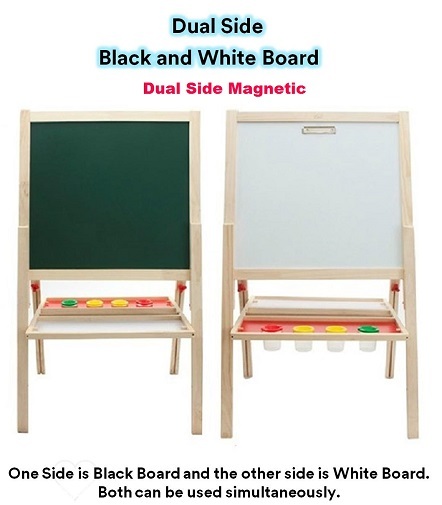 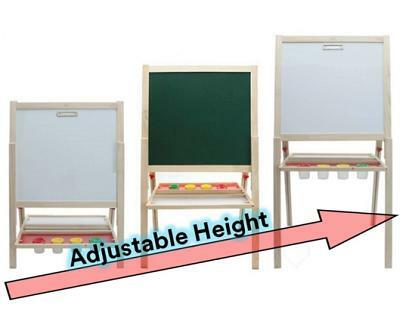 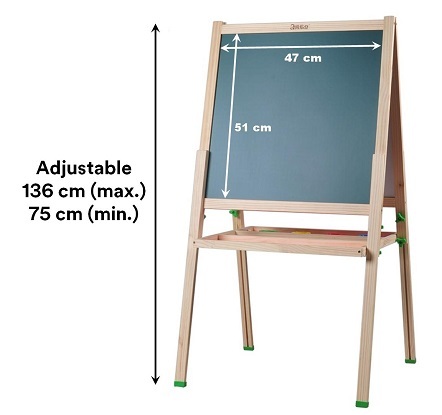 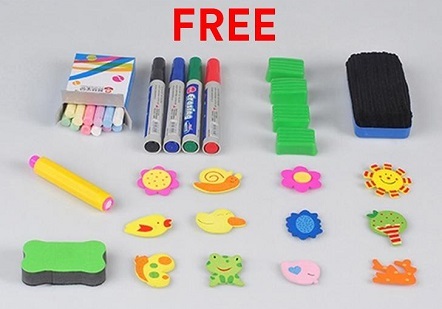 3-in-1 Multifunctional Adjustable Height Easel is an adjustable art studio that keeps little artists busy with a whiteboard on one side, chalk board on the other. 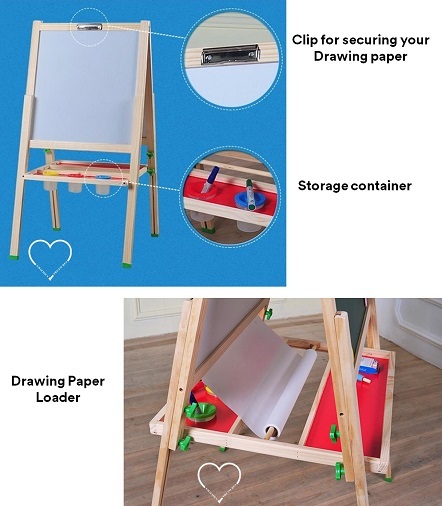 Special screw down clamps keep your paintings and drawings nice and flat for the best artist experience. 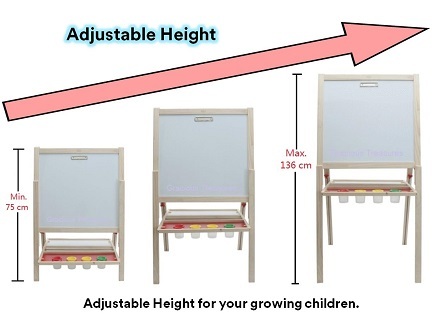 Height is adjustable for your growing kids.